You can't off-road with tires you don't trust. That's why the all-new GEOLANDAR M T G003™ is engineered with rock-solid, GEO-SHIELD™ technologies from casing to tread. Delivering crushing performance, intimidating looks, and an industry-leading tread life, the GEOLANDAR M T G003 inspires confidence--even in the most brutal terrain. 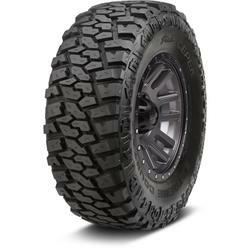 The Firestone Destination MT2 tire is engineered to be tough and perform on-road and off-road. Whether your truck or SUV is treading through dry, wet, or snowy conditions, the Destination MT2 tire is designed to go where the trail takes you. With features like mud and stone rejectors to keep your tread cleared out, and advanced construction to help resist chips and tears to maximize your tire life, you know the Destination MT2 tire will support you wherever your road may take you. 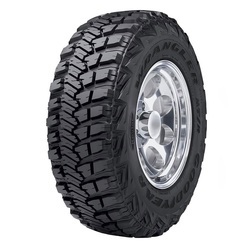 The Lionhart Lion Claw MT tire has great styling on the sidewall, and a big knobby tread pattern to enhance the look, and all-terrain performance of any serious off-roader or Mall Crawler. The new Lionhart Lion Claw has the attributes needed to give you confidence to scale any mountain or all-terrain situation. 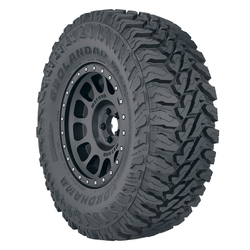 It has beefed up sidewalls and an extra belt under the tread to add protection against flats on or off-road. 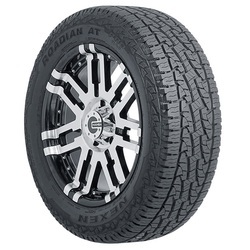 Big open lugs and plenty of void in the tread allow water, mud, sand and snow to evacuate easily from the tread for the traction you expect from such an aggressive looking tire. 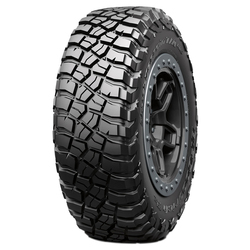 Roadian AT Pro RA8 is comprised of a zig-zag sipe design and an open outside shoulder design to improve off-road performance with optimal mud extraction and heat reduction. The sipe-in-groove design prevents pebbles from getting stuck and improves mud extraction performance, while the multi-sequence tread design on the center and shoulder deliver optimal noise, wear and drainage performance. Go beyond where the road ends with the all-new GEOLANDAR A T G015™. 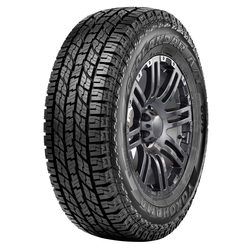 This all-terrain tire has been engineered to give you ultimate traction across conditions, whether you're rolling down the highway or leaving the pavement behind. Wrangler MT R With Kevlar is Goodyear's best tire designed for extreme off-road expeditions, featuring DuPont Kevlar that helps resist punctures when powering over rocks, mud, and sand. DuPont Kevlar reinforced sidewalls help increase sidewall puncture resistance by 35%. 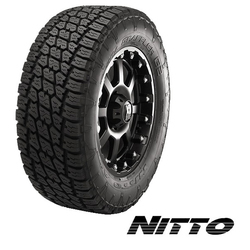 Innovative asymmetric tread design helps provide aggressive off-road traction and enhanced handling on the road. 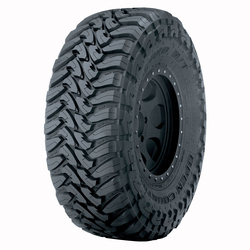 Hardworking wraparound tread helps to deliver sidewall traction in deep mud, sand, and rocks for off-road traction. 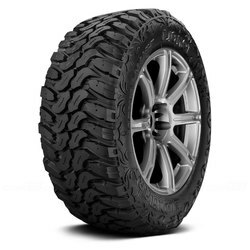 The advanced silica rubber helps provide superb off-road and wet traction. 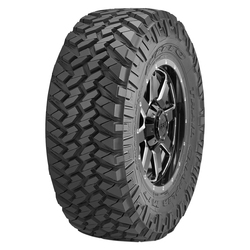 The Extreme Country mud-terrain tire has been designed with a proven tread compound for excellent traction, responsive handling, even wear, longer life and a quieter ride. Delivers stability and responsive grip on irregular surfaces. 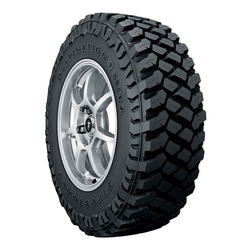 Heavy-duty carcass enhances sidewall strength, and wide outer tread voids and angled shoulder scallops provide better traction in mud and loose soil.